You will find below the horoscope of Helen Alfredsson with her interactive chart, an excerpt of her astrological portrait and her planetary dominants. If you know the time of birth of Helen Alfredsson, we would appreciate it if you would send us your information with your source, at stars@astrotheme.com. To thank you for contributing to the enhancement of our astrological database, we shall be glad to send you the astrological portrait (34 pages) of this celebrity. Horoscopes having the same aspect Mars conjunction Uranus (orb 1°55'): Johnny Depp, Rihanna, Robin Williams, Robert Downey Jr., Joaquin Phoenix, Françoise Hardy, Vincent Cassel, Sarah Jessica Parker, Alain Juppé, Ava Gardner, Jimmy Page, Usher (entertainer)... Find all the celebrities having this aspect. Horoscopes having the same aspect Moon sextile Jupiter (orb 2°07'): Nicki Minaj, Wolfgang Amadeus Mozart, Paris Hilton, Will Smith, Charlie Chaplin, Bob Marley, Tyra Banks, Dominique Strauss-Kahn, Bono (U2), Isabelle Adjani, Colin Farrell, Tobey Maguire... Find all the celebrities having this aspect. Celebrities clicked on in real-time: 576,818,029 times. Helen Alfredsson (born 9 April 1965) is a Swedish professional golfer who plays primarily on the U.S. based LPGA Tour and is also a life member of the Ladies European Tour. Alfredsson was born in Gothenburg, Sweden. She represented Sweden in European Junior and Senior Team championships. She was a member of the Swedish team in the Espirito Santo Trophy World Amateur Team Championship in 1986 and 1988 and is a six-time Swedish national champion winning from 1981-1984, in 1986 and 1998. She attended United States International University and graduated in 1988 with a degree in International Business and then tried a career in Paris as a model whilst flying with the Blue Angels and learning to ride a Harley-Davidson. Here are some character traits from Helen Alfredsson's birth chart. This description is far from being comprehensive but it can shed light on his/her personality, which is still interesting for professional astrologers or astrology lovers. 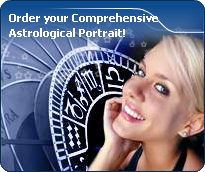 In a matter of minutes, you can get at your email address your astrological portrait (approximately 32 pages), a much more comprehensive report than this portrait of Helen Alfredsson. Warning: when the birth time is unknown, which is the case for Helen Alfredsson, a few paragraphs become irrelevant; distributions in hemispheres and quadrants are meaningless, so are dominant houses and houses' accentuations. Therefore, some chapters are removed from this part. The predominance of Water signs indicates high sensitivity and elevation through feelings, Helen Alfredsson. Your heart and your emotions are your driving forces, and you can't do anything on Earth if you don't feel a strong affective charge (as a matter of fact, the word "feeling" is essential in your psychology). You need to love in order to understand, and to feel in order to take action, to the detriment of a certain vulnerability against which you should learn to fight. Like the majority of Earth signs, Helen Alfredsson, you are efficient, concrete and not too emotional. What matters to you is what you see: you judge the tree by its fruits. Your ideas keep changing, words disappear, but actions and their consequences are visible and remain. Express your sensitivity, even if it means revealing your vulnerability. Emotions, energy and communication must not be neglected; concrete action is meaningless if it is not justified by your heart, your intellect or your enthusiasm. Helen Alfredsson, the Cardinal mode is dominant here and indicates a predisposition to action, and more exactly, to impulsion and to undertake: you are very keen to implement the plans you have in mind, to get things going and to create them. This is the most important aspect that inspires enthusiasm and adrenalin in you, without which you can grow weary rapidly. You are individualistic (maybe too much?) and assertive. You let others strengthen and improve the constructions which you built with fervour. The three most important planets in your chart are the Moon, Saturn and Mars. In your natal chart, the three most important signs - according to criteria mentioned above - are in decreasing order of strength Aries, Virgo and Cancer. In general, these signs are important because your Ascendant or your Sun is located there. But this is not always the case: there may be a cluster of planets, or a planet may be near an angle other than the Midheaven or Ascendant. It may also be because two or three planets are considered to be very active because they form numerous aspects from these signs. After this paragraph about dominant planets, of Helen Alfredsson, here are the character traits that you must read more carefully than the previous texts since they are very specific: the texts about dominant planets only give background information about the personality and remain quite general: they emphasize or, on the contrary, mitigate different particularities or facets of a personality. A human being is a complex whole and only bodies of texts can attempt to successfully figure out all the finer points. Affectivity and intuition are very developed, Helen Alfredsson, and you are very sensitive to your environment. You “feel” atmospheres, moods and other people's emotions and when you capture negative influences, a feeling of ill-being immediately overwhelms you, all the more so because your lively imagination may destabilize you as it amplifies your receptiveness. Your nature is anxious and you tend to worry for your entourage. You strive to offer them a reassuring family atmosphere, the much needed comforting and warm sort of cocoon where you can laze around, at will. Because you care so much for your family, they may think that you are intrusive and that you try to rule their life through subtle affective blackmail. Trust them... and also learn to have more confidence in yourself! Love at first sight, flash in the pan, amorous impulsiveness? All these are part of your way of loving or to fall in love, Helen Alfredsson. Throughout your relationship, you maintain this kind of jerky and lively style, that may seem childish or naïve, but that is so generous and cheerful! You are undeniably possessive and you are not concerned with your partner's opinion but, fortunately, you readily forgive because of your spontaneity and your authenticity. When your relationship is intense, everything is fine. There is no romanticism, no complications with you. You love with ardour and, except for a few crazes and opportunities for new pastures here and there, the only danger may be that boredom settles in. In that case, you leave without regret and you quickly forget what consumed you, not so long ago. Helen Alfredsson, you skilfully make use of your energy and you are like the arrow that reaches its target with great precision: with piercing eye and sharp mind, you take action meticulously and efficiently. Like the surgeon with his scalpel, you know exactly what you want and you belong to the category of specialists, not the generalists. Critical, pernickety, extremely organized, you want to foresee and to analyze. You prefer to master your business too well rather than not enough, even if you must put a huge, sustained, long lasting effort into it. Sexually, you remain fanatical about cleanliness. You may be prone to fantasies such as fetishism. Your love life is fine if you avoid the unforeseen events that you loathe. This text is only an excerpt from of Helen Alfredsson's portrait. We hope that it will arouse your curiosity, and that it will prompt you to deepen your knowledge of astrology, as well as to visit and use the wide range of free applications at www.astrotheme.com.